The Codfather seeks to maintain a high standard at all times. There are ten fish and chip shops within a 3 mile radius of The Codfather which means our product must always be of the highest quality. We take great care in sourcing our ingredients from suppliers who can be relied on for excellent quality and consistency to deliver top quality. Our oil is filtered daily and continually changed, with all waste oil collected and used as bio-fuel. We only use frymax oil free from additives, low in transfats, contains no hydrogenated fats and no nut produce. Frymax is the leading vegetable frying fat for the fish frying trade with an enviable reputation for quality built up over 50 years. It is an additive free, longer lasting product delivering perfect performance time after time. Frymax contains no hydrogenated oils and has only a trace (less than 1%) of trans fatty acids. We fry our fish and chips to order except at peak times so that you enjoy the best possible product. It takes a little longer but we think it is worth the wait. 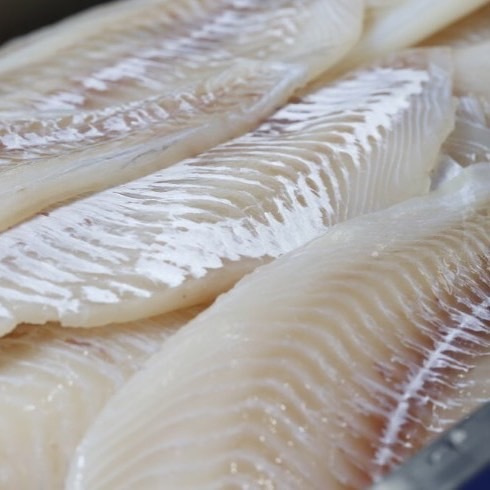 Our fish supplier is Richardsons of Fleetwood. All their fish is sourced according to the MSC guide. Potato Merchant Vic Graham in Bury supplies our potatoes.